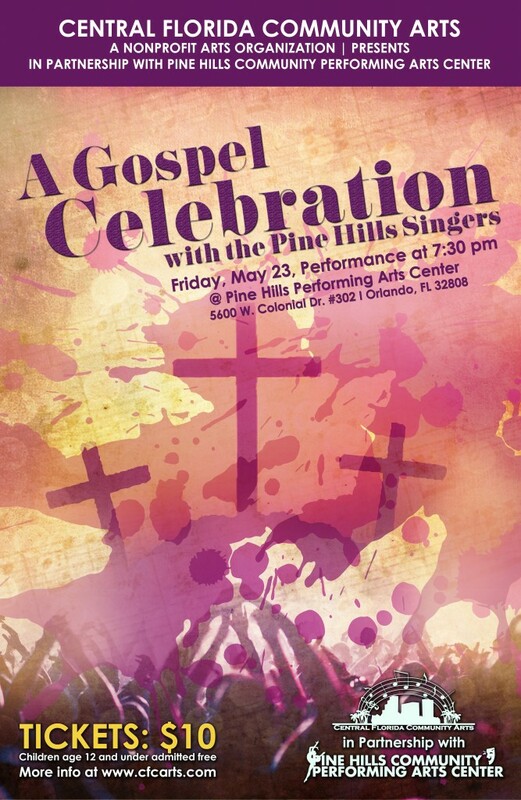 If you missed them the first time, you have another opportunity to hear the Pine Hills Singers on Friday, May 23 at the Pine Hills Performing Arts Center. Presented by the Central Florida Community Arts organization, the singers will perform in what organizers call a Gospel Celebration, starting at 7:30 p.m.
Tickets are $10 each. Children age 12 and under will be admitted for free. The community choir got started last fall and had its first performance in March. It consists of singers ages 16 and up. The Pine Hills Performing Arts Center is located at 5600 W. Colonial Drive, Orlando, FL 32808 (at shopping center at the corner of Kirkman Road and W. Colonial Drive). For more information, go to http://www.cfcarts.com.